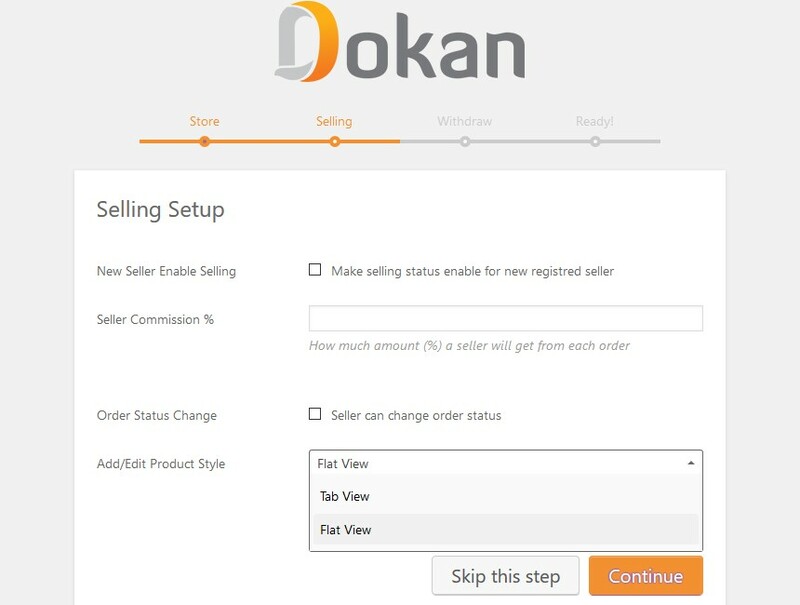 Dokan Admin Multi-step Wizard is a step by step wizard that helps you (admin) to easily set up Dokan plugin and its most important settings. 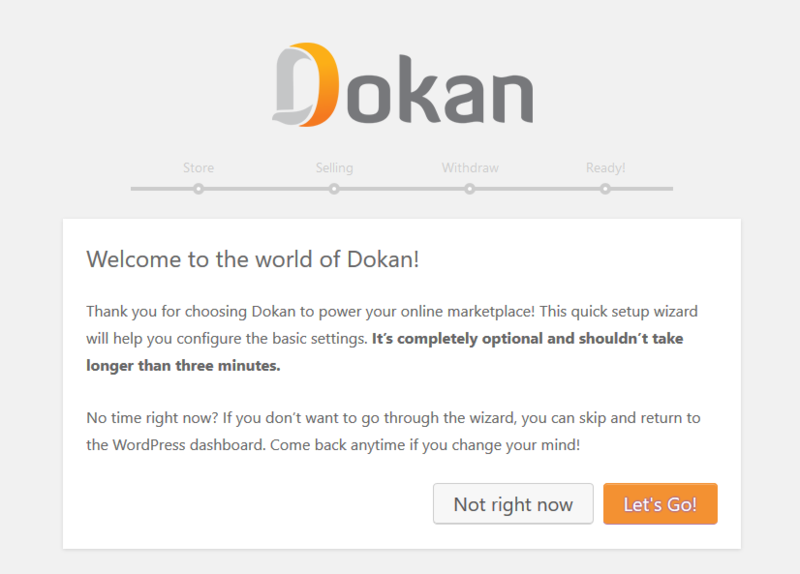 When you install the Dokan plugin for the first time on your WordPress powered website, you get the opportunity of using this setup wizard. 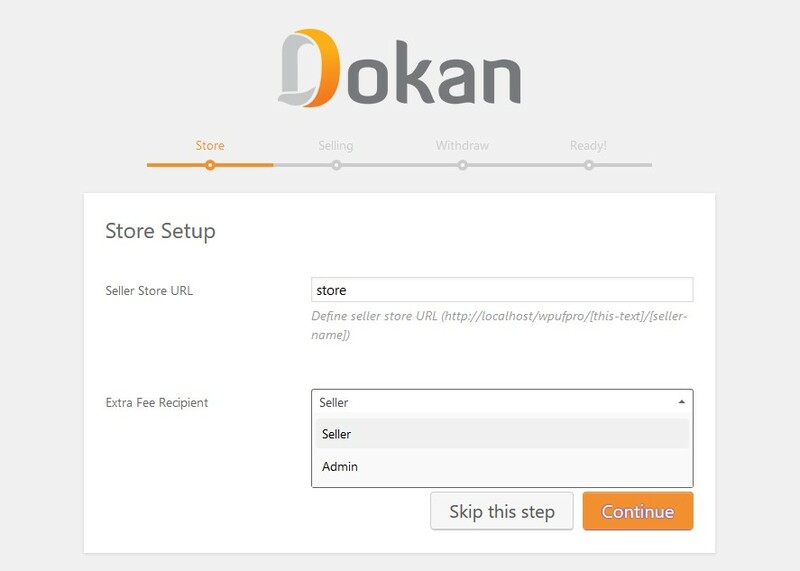 It gives you a step by step guideline to set up Dokan plugin easily. At first, it shows an introduction of the quick setup wizard. After clicking ‘Let's Go!' button, the wizard takes you to the store setup page where you have to provide details about your sellers' store. You have to provide seller store URL and select the extra fee recipient (Seller or Admin). When are you done, click on the Continue button. The second step helps you to configure Selling settings. You can enable selling feature for your sellers by clicking “Make selling status enable for new registered seller”. You can set the seller commission (%) in percentage. You can give your sellers the option to change order status. In addition, you can select either Tab or Flat view for your product edit page. You can choose your suitable withdraw method. 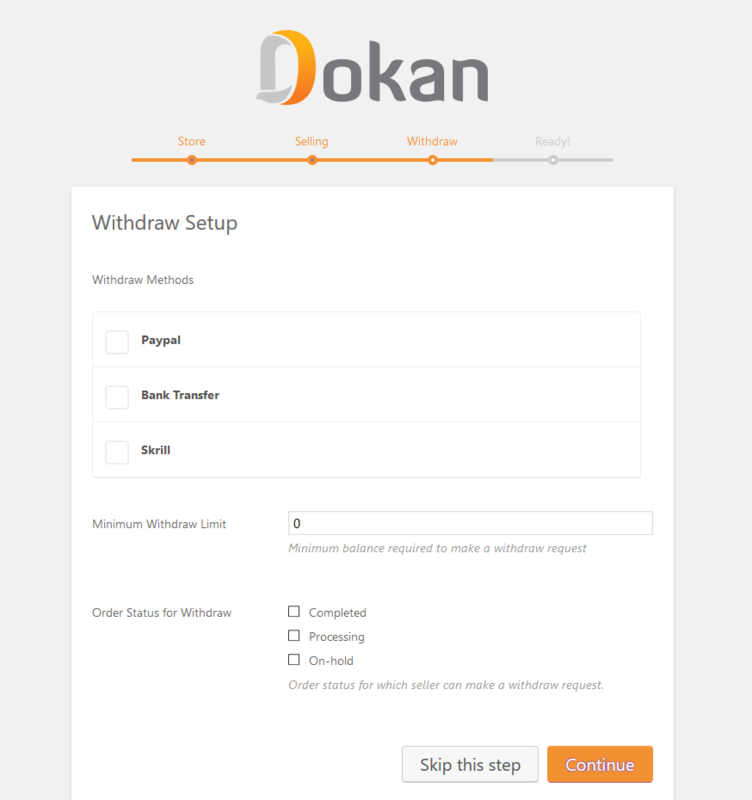 You can also set the minimum withdraw amount and order status for withdrawing. After providing all the information, click on the Continue button. 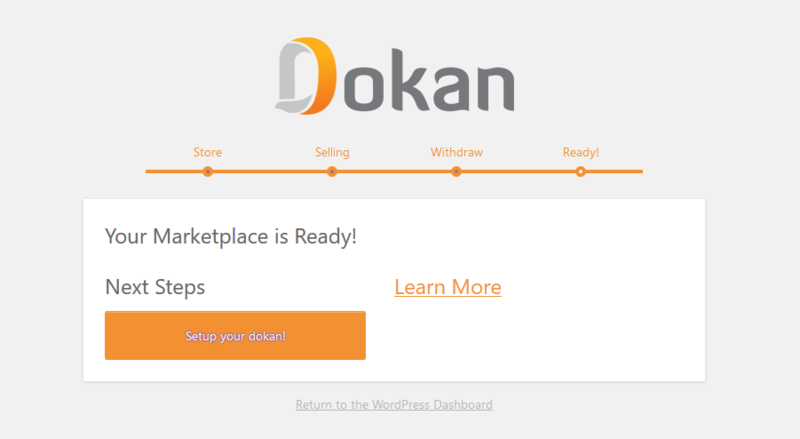 It will show you a confirmation message and ask you to go to your Dokan settings page. You can also return to the WordPress Dashboard by clicking on the link at the bottom of the wizard.